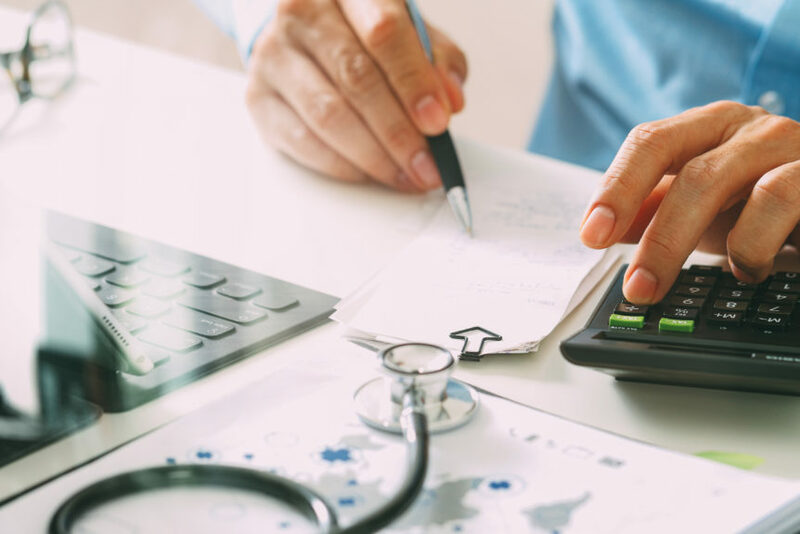 Among regional health plans, a recent Blue Health Intelligence (BHI) analysis found that the number of very high-cost claimants (HCCs) — members with more than $500,000 in annual claims — has nearly doubled over the last five years. Previous research shows that specialty pharmacy is a major factor in this growth. However, out-of-area claims are not a large factor in this growth. In identifying the more nuanced drivers of the rapidly accelerating number of HCCs, our analysis shows that almost one-third of HCCs reoccur annually. 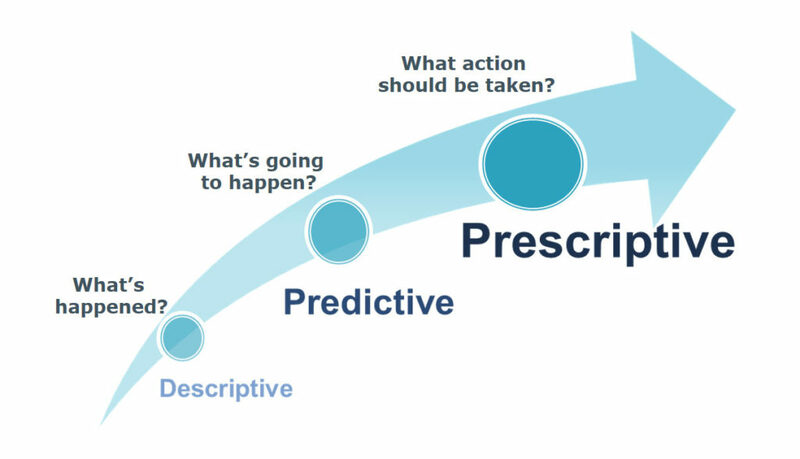 Predictive models are useful when forecasting future costs by assessing previous years’ costs. BHI’s predictive models also exclude the large number of members who will not benefit from certain interventions due to the nature of their illness and/or their life situation. This allows plans to target high-cost individuals who will most likely benefit from an intervention, saving them money and allowing them to direct resources to members who will benefit the most from support. 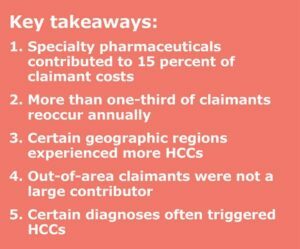 Reducing costs for HCCs requires a focus on impactable members where intervention can yield a change in future cost, utilization, and outcomes. This approach also makes the best use of limited resources. At BHI, our work with various health plans uses a cohesive and connected system of models, methodologies, and analytics to predict, identify, and stratify high-cost members. The right care and contextual factors are essential building blocks for stratifying HCCs and computing recommendations that pinpoint clinically and behaviorally achievable solutions. We enriched our data assets to provide a complete picture of members. BHI’s broader, deeper data sets include socioeconomic data, electronic lab results, health assessment data, and insights gleaned from unstructured data sources — such as electronic medical records and care notes — by using natural language processing technology. In considering ways to mitigate cost and wasteful utilization for high-cost members, we understand the need to balance member-centric strategies targeting high-opportunity individuals with system-focused approaches that reduce low-value services for everyone. Therefore, BHI’s identification and stratification solutions bring consistent, credible insights to medical management, care management, concierge care, value-based contract management, employer reporting, and provider engagement efforts. Finally, the most successful intervention alerts and calls-to-action blend into existing workflow rather than interrupt it. They present the right information, in the right format, to the right audience, at the right time. Therefore, BHI is partnering with health plans to integrate our innovative prescriptive analytics into the right operational workstreams to help them make an even greater impact in better controlling unnecessary increases in the number of their high-cost members.